The weeks following the Singapore summit have thus far not delivered a clear public roadmap or timeline for how and when it will be possible to achieve peace or denuclearization following the Kim-Trump summit meeting. Rather, the days prior to and following the summit have been full of signs that the Trump administration is following the North Korean model rather than the Libyan model for denuclearization. Since the North Korean model is the pathway the Trump administration is on, it is worth examining North Korean statements about where that pathway will lead. The North Koreans appear to have taken Trump at his word by expecting the Trump administration to trust that its unilateral measures to dismantle its nuclear and missile testing sites are significant enough to count as sincere moves toward the goal of “complete denuclearization” pledged by Kim to Xi Jinping, Moon Jae-in, and Donald Trump. But North Korea’s unilateral measures of destroying its nuclear test site at Punggye-ri in May and dismantling its missile engine testing site at Sohae have been implemented without adequate external verification, in a manner that requires the Trump administration to trust rather than verify the credibility of North Korea’s actions. On the other hand, the parts of the Singapore declaration that North Korea most distrusts and therefore most want to verify are related to the U.S. commitments to a “new U.S.-DPRK relationship” and the U.S. commitment to “peace.” As a result, Secretary of State Mike Pompeo received a stiff arm from the North Koreans during his July 6-7 visit to Pyongyang as part of Trump administration efforts to secure a rapid and concrete timetable for denuclearization. 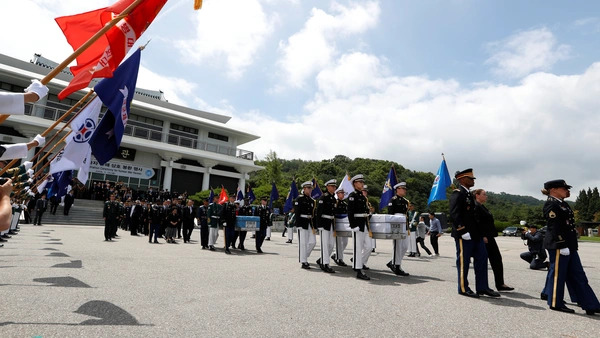 Although POW/MIA (prisoners of war/missing-in-action) remains recovery would appear to be an easy humanitarian confidence building step completely unrelated to American denuclearization demands, working-level communication regarding the handover has become an example of the depth of distrust between the two sides. North Korea’s foreign ministry statement makes clear that from their perspective, the missing piece is a Trump administration declaration of the end of war, deliverable by this Friday. This step would undoubtedly facilitate the return of POW/MIAs, and it is a step that the Moon Jae-in administration has eagerly supported, including through the Panmunjom Declaration, which envisaged an aspirational statement of the end of war by the end of the year. In fact, South Korea’s unification minister, Cho Myoung-gyon, stated at a South Korean National Assembly policy briefing: “I think we can declare the end to the war . . . before the North achieves complete denuclearization.” Cho specifically stated that such a declaration could be possible “if the North takes sincere measures” toward denuclearization, including North Korea’s dismantlement of nuclear and missile testing sites at Punggye-ri and Sohae. According to the North Korean road map, the next step would involve a Trump administration declaration of intent to replace the armistice with a permanent peace, likely accompanied by the return of some POW/MIAs via Panmunjom. Beyond these steps, the looming question over the North Korean model is not just whether the decades-long distrust of the United States by the North Korean leadership can be overcome, but also whether North Korea can build a track record of accomplishment necessary to overcome American distrust fueled by North Korea’s record of broken promises and commitments. According to Pompeo, the North Koreans recognize that the key to bridging that distrust is the achievement of a “final, fully-verified denuclearization.” But it does not mean that the North Koreans are committed to achieving that objective. Thus far, the North Korean model seems to envision a one-sided verification process in which North Korea performs on the honor system while the United States makes tangible concessions in an effort to overcome North Korea’s mistrust. But American mistrust will not dissipate just because Trump declares his trust in Kim. Rather, both sides must embark on a sustained effort to defuse tensions by building a tangible joint record of accomplishment necessary to make both the end of war and North Korea’s denuclearization a reality, not simply a declaration. In this respect, the biggest challenge to building trust on the American side will be long-term consistency beyond a single administration, while the biggest challenge to confidence building on the North Korean side will be reciprocity (i.e., offering of tangible and irreversible quid pro quos rather than pocketing concessions or breaking agreements.